How do you get the most Stardust to power up and trade your Pokémon? Like this! Stardust, perhaps even more than Candy, is the currency of Pokémon Go. It's the price you have to pay to power up your Pokémon Gym and Raid teams and, more recently to trade them with other players. And, for Shiny or Legendary trades, that price can start at 1 million dust. Yeah. Wow. With the launch of PvP Trainer Battles, you can now also use Stardust to buy secondary charge moves. But it's also expensive. Up to 100K for a Legendary. Again. Yeah. Wow. So, how do you get the most Stardust possible so you can power up all the Pokémon you need to take down Gyms and beat Raid Bosses, and trade for those Pokédex entries and variants you still need? TL;DR: How do you get Stardust in Pokémon Go? 100 Stardust per base-level Pokémon caught in the wild. 300 Stardust per 2nd-evolution Pokémon caught in the wild. 500 Stardust per 3rd-evolution Pokémon caught in the wild. 600 Stardust for each Daily Catch Bonus. 3000 Stardust for the 7-day Weekly Catch Bonus. 125 Stardust per Weather-boosted base-level Pokémon caught in the wild. 350 Stardust per Weather-boosted 2nd-evolution Pokémon caught in the wild. 625 Stardust per Weather-boosted 3rd-evolution Pokémon caught in the wild. 400-800 Stardust per KM Egg hatched. 800-1600 Stardust per 5 KM Egg hatched. 1600-3200 Stardust per 10 KM Egg hatched. 20 Stardust per Berry fed to a friendly Pokémon on a Gym. 500 Stardust per Raid Boss beaten. How do you maximize the Stardust you get? Open the maximum of 20 Gifts a day to get as much Stardust as you can from them. Find and complete all the Field Research tasks that give you Stardust as a reward. Make sure to use at least your Free Raid Pass to get the Stardust reward every day. Use a Star Piece to get 1.5x more Star Dust whenever you're about to grind hard-core. 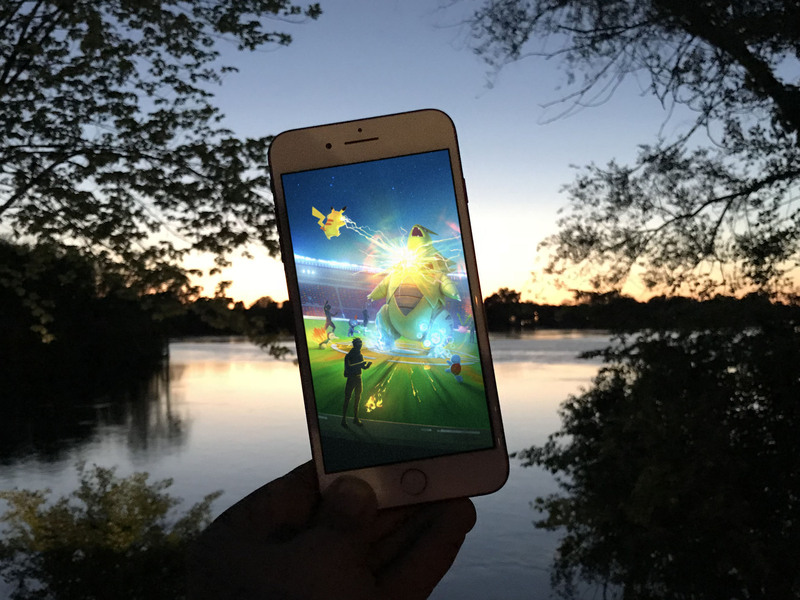 When and if there's a Stardust event, make the most of it. Do all the above and get 2x the Stardust (3x with Star Piece) for it. What is Stardust in Pokemon Go and why do you want it? When you're powering up your Pokémon, you need Candy, but you also need Stardust. At least if you want tanky Blissey, Snorlax, and Chansey for Gym defense, and maxed-out Machamps, Kyogres, Tyranitars, etc. for Raid Battles. You also need Stardust for making trades. Regular trades can cost 100 or less Stardust, depending on your Friendship level. Trades for new Pokédex entries start at 20,000 and Shiny/Legendary at 1,000,000, though. And, yeah, they go down, but not fast. Most recently, you need Stardust to buy secondary Charge Moves for Trainer Battles, Raids, and Gyms. The cost grows quickly based on rarity, ranging from 10K for common Pokemon to 100K for Legendary. In other words, no Stardust, no powering up, no trading. Can you buy Stardust in Pokémon Go? Sadly, no. At least not directly. But you can buy Star Pieces which give you 1.5x the Stardust you'd normally get for 30 min. Think of them as slightly less amazing Lucky Eggs, but for dust. Can you get Stardust for catching Pokémon? 100 Stardust per base-level Pokémon caught. 300 Stardust per 2nd-evolution Pokémon caught. 500 Stardust per 3rd-evolution Pokémon caught. So, catch a Pidgey or Snorlax and you get 100 Stardust. Catch a Raticate or Blissey, and get 300 Stardust. Catch a Beedrill or Dragonite, 500 Stardust. This also includes any Raid Bosses you beat and then catch following Battle Raids. It's especially productive with a Pokémon Go Plus, since you can click, click, click your way to thousands of Stardust, as long as you have the Poké Balls to fuel it with. Do you get Stardust for your daily and 7-day Catch Streaks? 600 Stardust for each daily Catch Streak bonus. 3000 Stardust for the 7-day weekly Catch Streak bonus. So don't miss a day. How about hatching Pokémon Eggs, is that a good way to get Stardust? Yup. You still get large amounts of Stardust from hatching Pokémon Eggs. The amount of Stardust varies by the type of Egg but also randomly at the time you hatch it. 400-800 Stardust from a 2 KM Egg. 800-1600 Stardust from a 5 KM Egg. 1600-3200 Stardust from a 10 KM Egg. The lower levels are more typical than the higher levels, sadly, but if you invest in Incubators and walk a lot, you'll grow your Stardust steadily. Can you get Stardust from Gyms? You can't get Stardust from battling at Gyms but you can get it for feeding Pokémon on Gyms if they're from the same team. 2000 Stardust per 10 Berrys fed to 10 friendly Pokémon on Gyms per 30 minutes. You get Stardust for every Berry you feed to your own Pokémon, or any Pokémon on a Gym controlled by your team, up to a maximum of 10 Berries to 10 Pokémon every half hour. So, feed a Berry to 10 Pokémon, or feed 10 Berries to a single Pokémon, and you get 200 Stardust — but it costs you 10 Razz, Pinap, or Nanab Berries. Feed 10 Berries to 10 Pokémon and you get 2000 Stardust – but it costs you 100 Berries. So, to equal the maximum reward from the old Defenders Bonus, you would have to feed 250 Berries – at the cost of 250 Berries — every 21 hours. To make matters more complicated, you also have to find Pokémon that need to be fed, and Pokémon that need to be fed up to 10 Berries. Since everyone interested in Stardust is competing to feed the same friendly Pokémon on the same Gyms, opportunities can be hard to come by. And that means Stardust can be hard to come by. That's in addition to the usual amount for catching them afterward. Did Pokémon Go not create some Stardust-based attack bonus for taking down Gyms to make up the difference? Nope. But I kinda really hope they do. What about Stardust from Poké Stops? Besides your daily and weekly streak bonuses, the only other way Poké Stops give you Stardust is through Research tasks. What kind of Stardust can you get from Research? Field Research tasks require you to do things like catch certain Pokémon, hatch some number of eggs, make throws either in total or in a row, etc. Rewards include Pokémon encounters, items, and, yes, Stardust. The amounts can vary greatly, from 100 Stardust for winning a Gym Battle to 4000 Stardust for catching a Ditto. Once you complete seven Research tasks, you get a breakthrough that also includes Stardust. Special Research is far less frequent but also far more rewarding. Can you get Stardust from Gifts? Yes! Stardust has been added to the potential rewards for opening gifts. You may not get any, or you may get all Stardust. Any other ways to get more Pokémon Stardust? Pokémon Go regularly holds events that provide bonuses or multipliers to candy, XP, and Stardust. Previously, events were simpler and would just provide 2x Stardust for a week or ten days. Now, Community Days sometimes offer 3x Stardust but just on catches, for example. Pokémon Go Events: What's coming up next! Any Stardust in Pokémon Go questions? Got any other Pokémon Go problems you need help with? Drop your questions in the comments below!